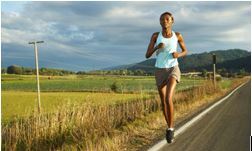 Running down a country road, this runner has a long training run to increase her endurance. While most people don’t give much thought to the humble kilometer on a daily basis, there is one group among us for whom the simple units of measurement are like Michelin stars to a chef — runners. Kilometers are a key measure of progress and achievement in the competitive running world, with races ranging from relatively easy 3K beginner jaunts to superhuman 100K odysseys. Runners rack up K’s like international businessmen accumulate miles — with a sense of accomplishment and enviable endurance. For many runners, the 10K is a true landmark. It designates a dramatic improvement over the beginner-length 5K and represents some serious distance. It’s also a length that’s attainable for most runners, whether you’ve jogged only recreationally or have even finished a 5K of your own. 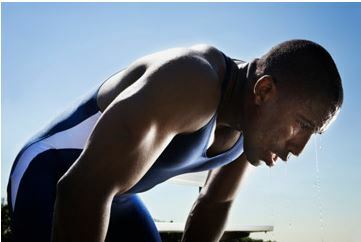 So here are 10 tips to get you race-ready in a few short months. You might not take the first-place trophy, but you’ll definitely be able to add 10 all-important K’s to your running history. Well-fitting, comfortable shoes make running long distances easier. You’ll have plenty of excuses not to get outside and run during your 10K training program. “My feet hurt,” shouldn’t be one of them. Feet are about as different as there are reasons for competing in a race in the first place. To ensure you have the right type of training shoe for your particular foot, first figure out if you’re an overpronator (you use the inside of your foot more) or underpronator (you walk on your foot’s outside edge) by taking the “wet footprint” test. Simply wet the bottoms of your feet, and then step on a piece of flattened cardboard. If you overpronate, the imprint will be that of a nearly complete foot with your arch coming in contact with the cardboard. If you underpronate, you’ll see mostly the toes, heel and outer edge of your foot on the cardboard. Once you know how your feet contact the ground, you can shop for a shoe that works with your gait, or your pattern of movement. Other things to look for in a good running shoe are that your heel doesn’t rub in the back, there’s still room in front of your big toe, the shoe is lightweight and breathable, and, most importantly and perhaps obviously, the shoe feels good when you put it on — no break-in period required. To avoid injury, runners need to give their bodies time to heal between training sessions. Nothing can derail your 10K ambitions like an injury. That’s why it’s critical to evaluate your ability honestly and train within your limits. You’ll improve if you work out steadily and push yourself just a little out of your comfort zone — not to the point where your body becomes exhausted and injury-prone. 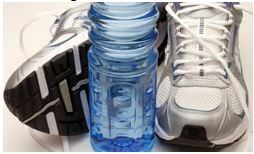 Before embarking on a 10K training regimen, some experts recommend already being a regular runner for about a year. 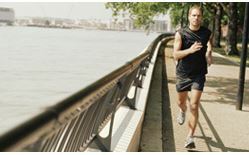 You should be currently running at least 20 miles per week in your regular workout routine. This gives you a good start toward that oh-so-attractive finish line. In addition to working within your own limits, it’s extremely important to give your body time to heal between each training session — so if you’re not used to it, don’t do long runs every day. You might want to consider training just three days a week, as one study has shown that this amount — and no more — significantly helps boost aerobic power. Lunges are great for warming up before a run. Even if you’ve done your best to forget about high school gym class, one of the things you likely remember is that the teacher used to make kids stretch before they got active. But like the junior prom and bad school lunches, this wisdom is best left in the past. So instead of doing hamstring and quad stretches before you run, a much better option is to warm up the body with a short series of dynamic, or moving, stretches that get your blood moving. Lunges: Place your hands on your hips while standing with feet hip-width apart and drop one knee at a time to the ground. Leg kicks: Kick one straightened leg forward and try to touch your toes with the opposite hand. Lying scorpion: Lie face down and alternate crossing one foot over the other leg and touching the ground with it. You and your training program are like any good relationship — variety will help it survive. You’ll want to be sure to change things up. Heading out for a jog from your front door around your neighborhood is fine because it’s the quickest path between you and an excuse-free run. But take the same course every day and you’re likely to get bored. So head to the local track one day, find a trail through the woods or a park, or give yourself a weatherproof respite on the treadmill. Running hills helps strengthen your lower body in preparation for a 10K. Being 10K-ready doesn’t happen overnight. It’s a process that, when done correctly, should take months, or for some, even a full year. It’s wise to break that training time into distinct phases. One common approach is to divide the training cycle into base, speed, strength, peak and recovery periods. During the base phase, the focus is on long steady runs. The speed period will work many more sprints into the mix, while the strength sessions will include hills and other lower-body strengthening exercises. All three phases come together in the peak period, where you’re running full race distance at your best time possible. Finally, a period of rest is recommended in the week or two before your race. During this time, you take things more slowly, either resting completely or going for light runs only. This gives your body a chance to do full-system maintenance and be ready for takeoff on race day. Write It Down and Schedule It! Treat your training runs just like any other appointment. Write them on your calendar so you’ll be sure to arrange time. After you’ve chosen a 10K in which to participate and mapped out what type of training routine you’ll follow, make a chart. Then, record your progress; it’ll not only provide motivation as you improve, but also let you know when you’re truly ready to compete. You’ll be less likely to cheat if you have to write down your daily distances in black and white. After all, who’d rather put a big zero on their progress chart than an actual distance? Another way to use the power of the pen (or your electronic calendar) to help with motivation is to schedule your training sessions just like you would an appointment with someone you really want to spend time with. Train well and that person will soon be you — in the mirror! Finally, consider writing about your training odyssey on a blog or on social networking sites like Twitter or Facebook. Once you commit publicly to a challenge as significant as a 10K, it’ll be harder to back down from your goal. In addition to keeping things interesting for your brain by changing locales, you also need to keep things challenging for your body by mixing up the types of running you do. Your muscle fibers react differently to a variety of stimuli, and you’ll need to engage them all on race day, so mixing up your training will help turn you into a well-rounded running machine. Pick a landmark like a mailbox or tree, and race to it at top speed. Use one length of a square block to go all out. Find someone a good distance ahead of you on the running path and speed up until you catch up. 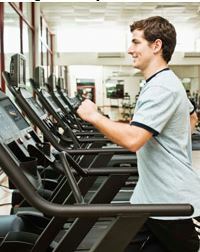 Mix it up and the benefits of your aerobic conditioning will be mighty. Another set of training musts are intervals. These are akin to rigid fartleks — you increase your speed for a set period of time or distance and then recover for a set interval before ramping it up again. Intervals have a dramatic impact on your conditioning; in one study, it was found that just two weeks of interval training helped six out of eight study participants double their endurance [source: Jaret]. While there don’t appear to be any hard-and-fast rules about how long your intervals should be, a general guide is that during the intensity phases, you should be working at about 80 to 85 percent of your target heart rate and be too out-of-breath to hold a conversation. After those bursts, your recovery phases should let you catch your breath, but your heart rate shouldn’t drop back to its normal level. Meditation, mantras and visualization techniques help train your mind to focus and prepare your body for exertion. You might think that running is all about training your body, but what about the mighty gray battery that powers it all? Your brain is your greatest training ally because it helps to keep you psyched throughout your entire training journey. You might want to try visualizing your runs beforehand, which can actually prepare your body for the exertion. Or, you can use your brain to trick yourself into continuing the run, even if things get tough. Just pick a landmark and tell yourself you’ll stop running when you reach it — then pick another one. Mantras may sound like things used by mountaintop hermits in caves, but they’re really quite simple. You can choose an inspirational phrase, a line from a song or a single word that you repeat over and over again. Repeating a mantra can take you away from the discomfort of exertion and make the miles go by a little more effortlessly. Likewise, just five minutes of meditation a day can train your mind to focus, making it a powerful tool to swat negative thoughts away during your run. Runners need to load up on healthy carbs before a race to avoid glycogen depletion. Perhaps one of the best benefits from training to run a 10K is the fact that you’ll be able to eat more because you’ll be burning more calories. In fact, you can roughly estimate just how many calories you’ll incinerate per mile by multiplying your weight (in pounds) by 0.63 Of course, you should strive for the usual healthy stuff — whole grains, fruits and veggies, and lean meats — because the better you fuel your machine, the better it’ll perform on race day. It’s a good idea not to eat any closer than one hour before a training run. 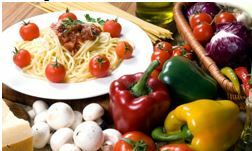 You also want to be sure to eat right both before and after a run, generally consuming foods (around 400 calories) that are higher in carbs before you exercise and recovering with a more balanced meal of carbs and protein. On race day, your biggest worry nutritionally will be “hitting the wall” or “bonking,” a condition whereby the body runs out of glycogen — a type of stored energy your body will draw from while running. To avoid this, you can carbo-load in the week before the race by getting 70 to 80 percent of your calories from carbohydrates. Note: This doesn’t mean you should eat 70 to 80 percent more food, just change the mix of the calories you’re already eating to be more carb-heavy. On the big morning, eat a light meal of around 500 calories (like a bagel with cream cheese and jelly and a piece of fruit) about two hours before the run begins and you should be good to go — and finish!